In the beginning, there was only a single speed and a crude ‘chain’ of linked pieces of leather to transmit power from a motorised bicycle’s engine to the back wheel. Then someone had the bright idea of using a metal chain, or even a shaft, combined with a clutch and gearbox with two, three or even four gears. By the time five gears were available on a road bike, in the late 1960s, someone else had come up with CVT – Constantly Variable Transmission. As used in ‘press’n’go’ DAF cars from Holland and twist’n’go automatic scooters from the Triumph Tina of 1962 onwards (twenty years ahead of the first twist’n’go Vespa). CVT is a kind of sophisticated system of rubber bands sliding up and down front and rear cones. The good thing about it is that you’re always in the right gear; the bad thing is that you’re wasting fuel, rather like having a slipping clutch, until the system ‘locks out’ in top gear. By that time Yamaha had already come up with an ‘automatic’ version of their FJR 1300, but, as they insist themselves, it’s not really an automatic. The Yam has a ‘proper’ manual gearchange but you have the option of using your fingers to change gear instead of your foot, and there’s no clutch lever because the clutch mechanism is automatic. 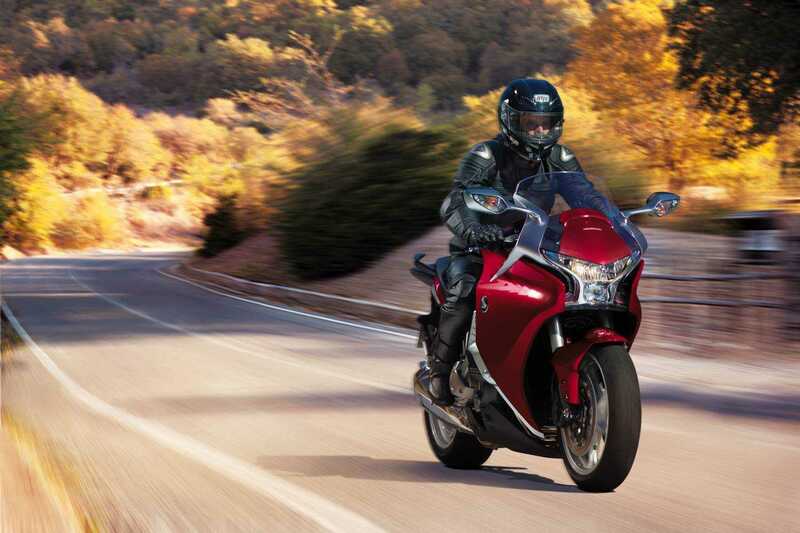 Then Honda moved things on a stage further with the Dual Clutch Transmission first seen on their VFR1200 in 2010. DCT was actually invented before the war and has been used in a variety of road and race cars going right back to 1980. 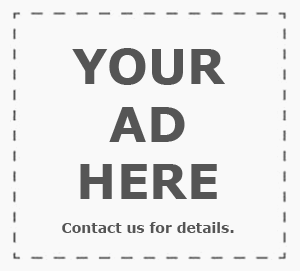 It arguably offers the best of both worlds, because you can use it in fully automatic mode if you’re feeling lazy, or change gear up and down with your fingers if you prefer. 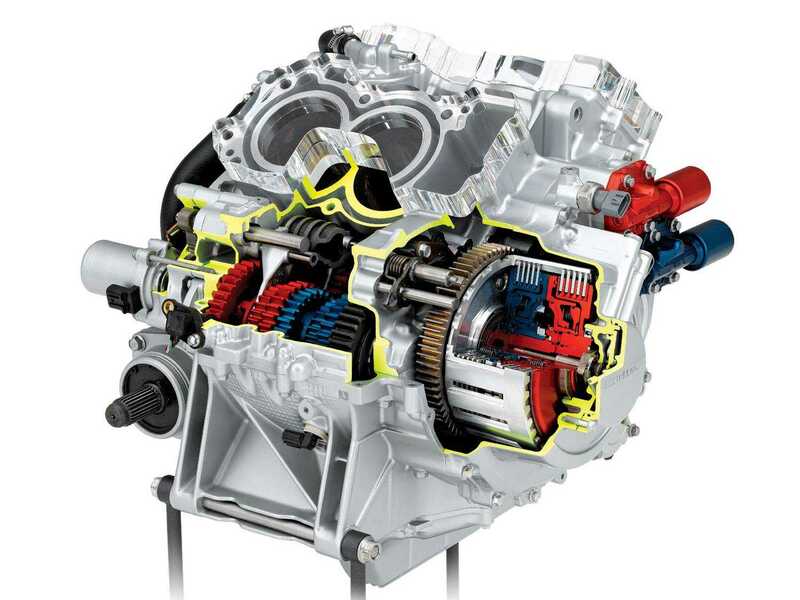 And because it has a proper gearbox rather than the glorified rubber bands of a CVT, or the mushy fluid of HFT, it’s actually more efficient than a conventional gearbox and changes gear faster. (It’s completely different from Suzuki’s Burgman 650, which does use a CVT system, albeit a very sophisticated metal one with a ‘pseudo’ rather than a real gearbox). 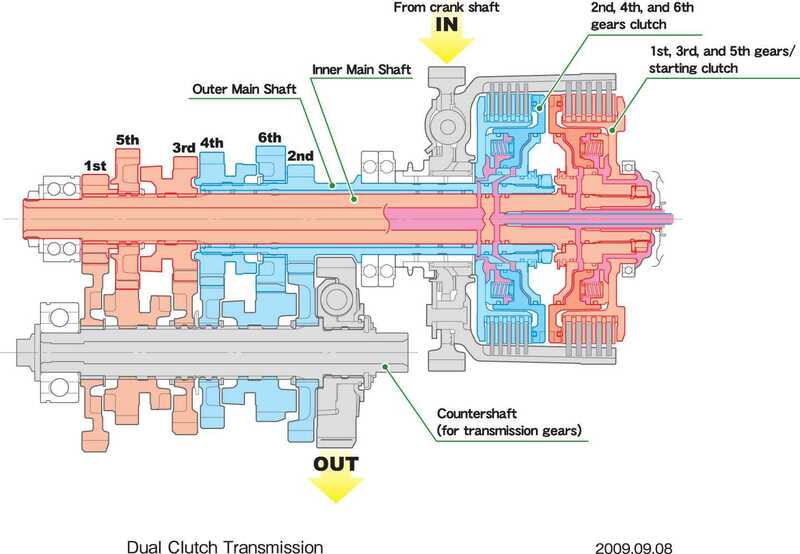 As the name implies, Dual Clutch Transmission really does have two separate clutches, which drive the odd and even gears in the gearbox and has no need for a clutch lever. In addition to offering DCT on the ‘soft roader’ Crosstourer version of the VFR 1200, Honda offered a second-generation version of DCT on their super-economical range of NC700 parallel twin, which this year grew to 750cc. The NCs are not the sportiest bikes on the planet, but owners regularly report achieving 70+mpg economy figures in real-life, on-the-road use. I haven’t ridden a VFR 1200 yet and only ridden one NC700, which wasn’t a DCT version, so I’m intrigued by this ‘all-singing, all dancing’ transmission system which combines ‘twist’n’go’ convenience with the efficiency of a proper gearbox. Now, Honda have come up with a new variation of the NC750 DCT power unit in a model which really ‘floats my boat’. 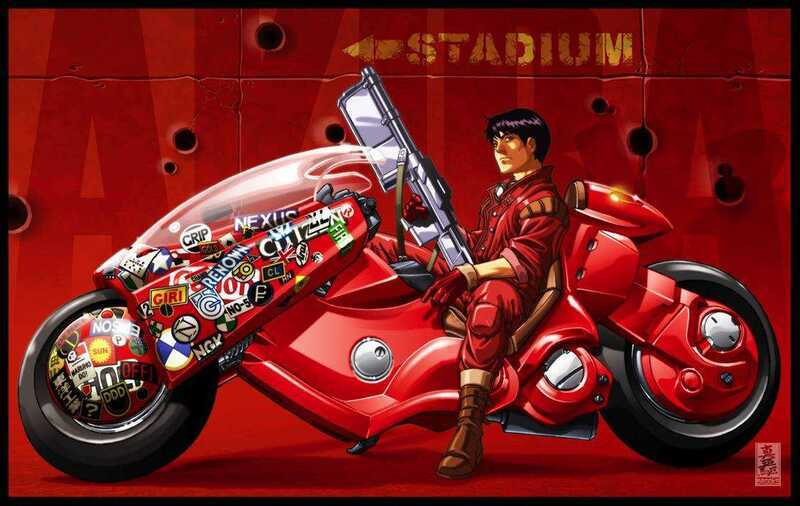 It’s called the NM4 Vultus and it was inspired by Japanese cartoon or ‘animé’ books and films, most notably the bike ridden by Kaneda in the cult classic 1980s film Akira. Honda claim that it’s ‘a new species of motorcycle’ but to me, it’s a 21st century FF, or Feet First machine, the like of which I’ve been riding for more than thirty years. 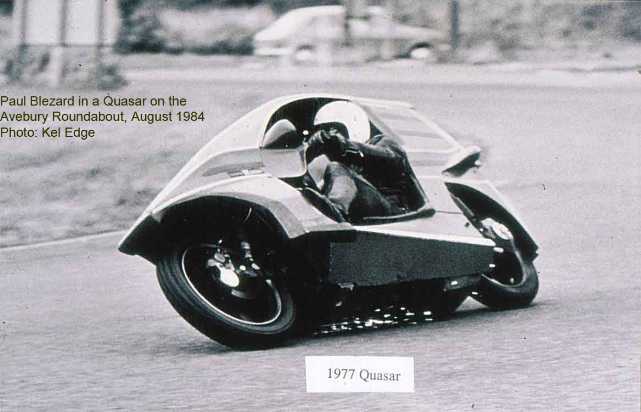 It’s not quite as low as the extraordinary all-British Quasars which I first rode in 1984, nor the amazing, 130mph Gurney Alligator which I wrote about in TRD 165. It also lacks the hub centre steering of the Difazio-Creasey 1981 Flying Banana, or the SCL Voyager 850 but, it is lower than the long’n’low Honda Helix CN250 scooter let alone the more powerful but rather thirsty 500-850cc superscooters from BMW, Piaggio, Suzuki, Yamaha and Honda’s own Silver Wing, of which I’ve owned… many! 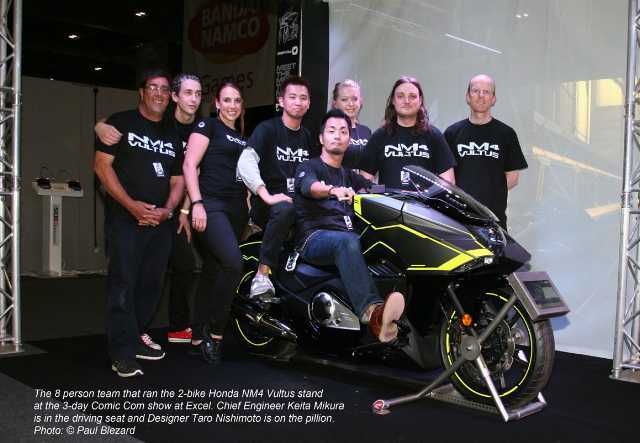 Best of all, the ex-racer who was chief engineer on the Vultus project, Keita Mikura, was so impressed by the way it handled, that he bought one with his own money! Mikura told me that the DCT system really suits the bike, and that all the Japanese journos who’ve ridden one say the same thing. 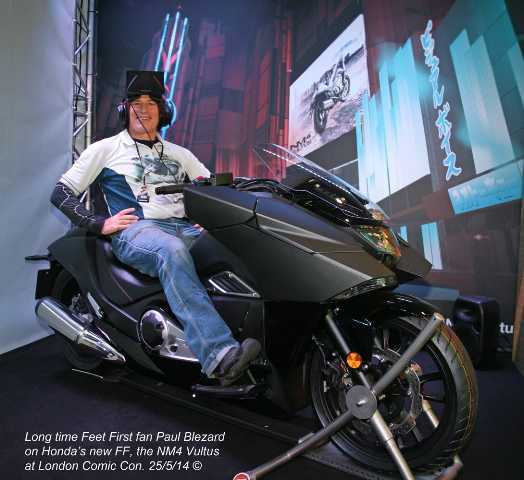 So far I’ve only sat in one, or rather two, Vultuses, at the extraordinary Comic Con show at Excel in May. 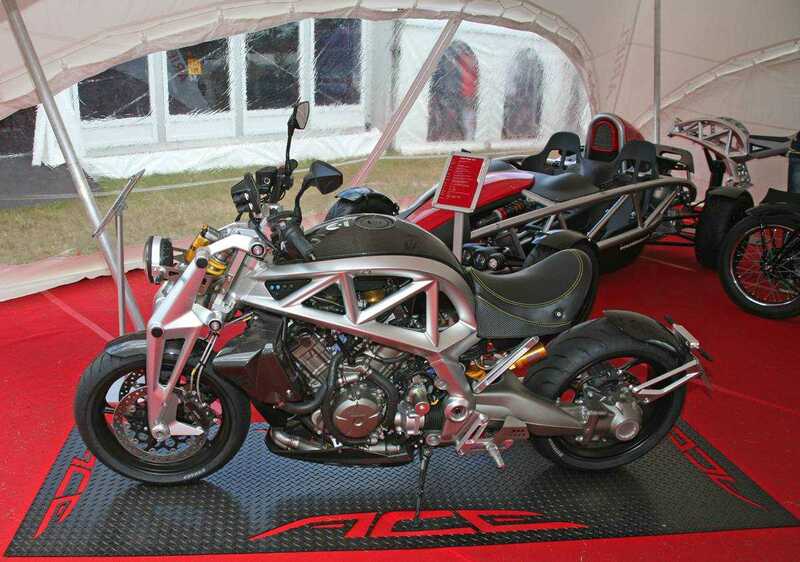 Now I can’t wait to ride one and find out if DCT – and the Vultus – is as good as Honda claim. There is a mate of mine who worked on the Voyager project who will be really interested in this article, and would love to see a FF racer built. Hi, I was impressed enough by a test ride on an NC700 that I bought one with the auto box. I have to say that it did all that Honda said it would and economy was at worst about 60mpg running at about 80 in very windy conditions with big screen and full luggage but it wasn’t difficult to get 80mpg either. The gearbox needs to be used in all modes to appreciate it. The change points depend on throttle opening, mode and no doubt several other factors. Just don’t try blipping the throttle at a standstill, it will take off! Performance isn’t too bad if you put it in sport mode and open the throttle fairly wide. What will surprise is the speed at which you find yourself going because the gearing is so tall, higher than on a 1200 GS! Why did I get rid? Having been spoiled by the front end of my previous GSs I wasn’t happy with the fork dive and just generally missed the BM’s all round handling.